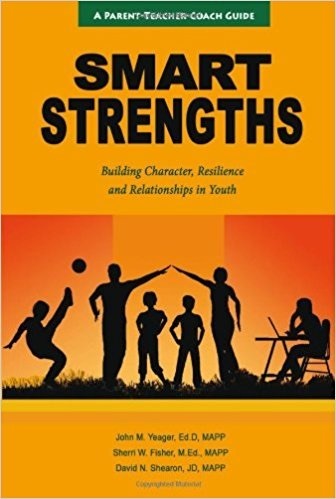 Smart Strengths: Building Character, Resilience, and Relationships in Youth by John M. Yeager, Sherri W. Fisher, and David Shearon (©2011, Kravis Publishing: Putnam Valley, NY) introduces the SMART model for changing a school one person at a time. It’s about bringing positive education to students and maximizing the students’ inherent strengths to foster character and achievement. It is research-supported and loaded with activities, resources, and real-life examples. 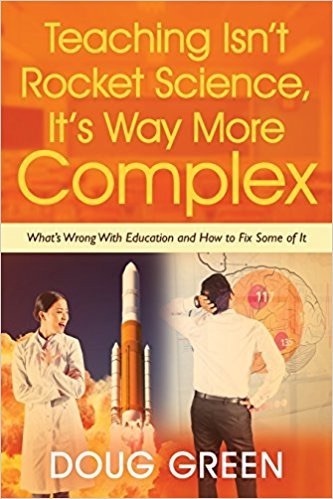 Any school looking to improve should seriously consider the advice in this important book. Click the icon below to purchase one or more copies from Amazon. John M. Yeager, EdD is a nationally known consultant on strengths in schools. He is the Director of the Center for Character Excellence at the Culver Academies where he launched a model program on the integration of character strengths among the entire school community. Sherri W. Fisher, MEd is an education management consultant, worksop facilitator, and coach specializing in creating learning, productivity, and change solutions for students of all ages, their families, and their schools. She is a founder of Flourishing Schools and her Student Flourishing education management practice. David N. Shearon, JD is an expert in public education policy and leadership. For more than two decades he has lead Tennessee’s mandatory professional development program for lawyers. He works with Flourishing Schools on behalf of K-12 education and trains teachers in how to teach resilience to students in programs around the world. The key idea is that adults and youth need to shift from concentrating on improving weaknesses to focusing on assets. This needs to start with the adults learning about their own strengths, which makes it easier to identify strengths in others. Strengths are natural abilities or assets. They are all good, although they can be used badly as the explanation of strength buttons demonstrates. Strengths are measurable, subject to numerous influences, and some are more malleable than others. Research shows that people who use their strengths are more engaged in their life and work, are happier, and are more productive. You should start by taking the free 20-25 minute Values in Action (VIA) Signature Strengths Test. There is also a version for children 10-17 that you can access with your free adult account. SMART stands for Spotting, Managing, Advocating, Relating, and Training. These are the five steps the authors include along with worksheets in each chapter to help you nurture your strengths and the strengths of those you work with. Just What are the 24 Strengths in the VIA? When I took the VIA, I found that my five top strengths were: curiosity and interest in the world; love of learning; judgment, critical thinking, and open-mindedness; self-control and self-regulation; and creativity, ingenuity, and originality. I hope this sounds like the right strengths for the work I do on this blog. Here is a list of the other 19 strengths. When you take the VIA you will get this list sorted from top to bottom according to your strengths. Remember all strengths are good and that everyone has a list sorted from 1 to 24. All lists are equally good. Forgiveness and mercy; Industry, diligence, and perseverance; perspective (wisdom); gratitude; hope, optimism, and future-mindedness; humor and playfulness; leadership; caution, prudence, and desecration; honesty, authenticity, and genuineness; fairness, equity, and justice; zest, enthusiasm, and energy; bravery and valor; kindness and generosity; social intelligence; citizenship, teamwork, and loyalty; appreciation of beauty and excellence; capacity to love and be loved; modesty and humility; spirituality, sense of purpose; and faith. This entry was posted on Tuesday, April 3rd, 2012 at 6:05 am	and is filed under Book Summaries, Education Books, Leadership Books. You can follow any responses to this entry through the RSS 2.0 feed. You can leave a response, or trackback from your own site.